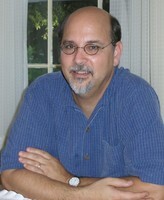 Tad M. Schmaltz (Ph.D. 1988, Notre Dame) joined the Department in 1989. He is affiliated with the new graduate certificate program in History and Philosophy of Science, Technology and Medicine (HPSTM), and with the Center for Medieval and Renaissance Studies. In 1993–94 he held a fellowship from the National Endowment for the Humanities, and in 1997–98 he was a fellow at the National Humanities Center. He has published articles in the Philosophical Review, Canadian Journal of Philosophy, Archiv für Geschichte der Philosophie, Journal of the History of Philosophy, British Journal for the History of Philosophy, Journal of the History of Ideas, History of Philosophy Quarterly, Studies in History and Philosophy of Science, and Oxford Studies in Early Modern Philosophy. He is the author of Malebranche’s Theory of the Soul, published by Oxford University Press in 1996, and of Radical Cartesianism, published by Cambridge University Press in 2002. He also is a co-editor of Historical Dictionary of Descartes and Cartesian Philosophy, which Scarecrow Press published in 2003, and the editor of Receptions of Descartes, which Routledge published in 2005. His most recent book is Descartes on Causation, which Oxford University Press released October 2007. He is Editor of the Journal of the History of Philosophy. Descartes on Causation. Oxford University Press, 2008. Radical Cartesianism: The French Reception of Descartes. Cambridge University Press, 2002. Malebranche's Theory of the Soul: A Cartesian Interpretation. Oxford University Press, 1996.